Almost every TV has the same basic look to it — a screen — but a new design from Bang & Olufsen makes the television something different, though it won’t be cheap. Technology in TVs may change every year, but outside of the stand, the design rarely does. Go into any electronics store, and if you were to picture the vast selection of new TVs without their stands, chances are that you’d just be looking at a screen that looks the same: a window to the world that when switched off largely looks the same. Turn it on and everything changes, but off and it’s the same. That’s not a look everyone wants. Some people prefer their TVs to make a statement, much like furniture can. Bang & Olufsen has unveiled a TV like that this week, announcing the Beovision Harmony, a complicated television because it not only makes a statement, it turns it into a piece of performance art when you power it on, its stand doing a little dance. It’s not unusual for Bang & Olufsen TVs to do something different — we’ve seen digital curtains from the brand before, and a TV stand that moves electronically — but the Beovision Harmony is something different altogether. 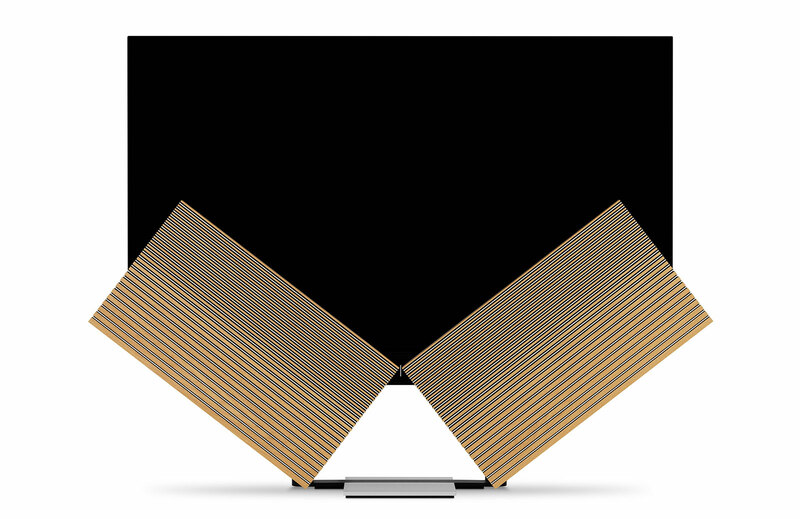 When off, two wood and metal speakers sit vertically in front of the TV, and when powered on, the TV rises and almost like a butterfly opening its wings, the speakers fan out and form a speaker system at the base of the TV. The speakers themselves are made from oak and aluminium, and have been tuned by hand, comprising of a three-channel system, while the screen Bang & Olufsen has used for the Beovision Harmony is a 77 inch LG OLED, complete with webOS inside, basically making it one of the “Wallpaper” OLED screens, but built into a custom TV for B&O. There’s support for Chromecast, AirPlay 2, and Bluetooth, and Bang & Olufsen has built in a 7.1 surround sound decoder to link up B&O Beolab speakers, all of which can be controlled by the B&O Beoremote One. Look at it all together, and it definitely won’t be cheap, but that’s a point you could say for the Beovision Harmony itself. While Bang & Olufsen has confirmed the Beovision Harmony will come to Australia, local pricing has yet to be provided. However, the previous Beovision TV, the Beovision Eclipse, started at around $15K and offered a 55 inch OLED experience. This is even larger again, and much newer, so we’d probably suggest thinking bigger in price tag when it does arrive, which we imagine will be later this year. When closed, the Bang & Olufsen Beovision Harmony is more a piece of art than TV.